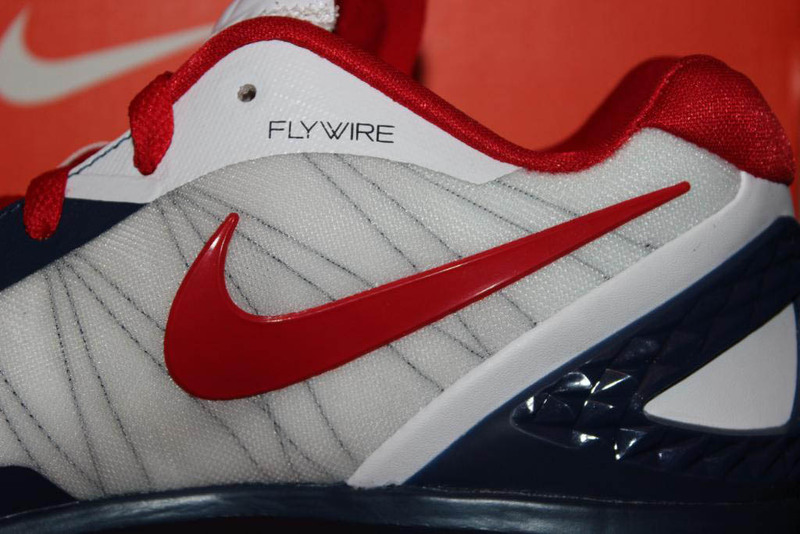 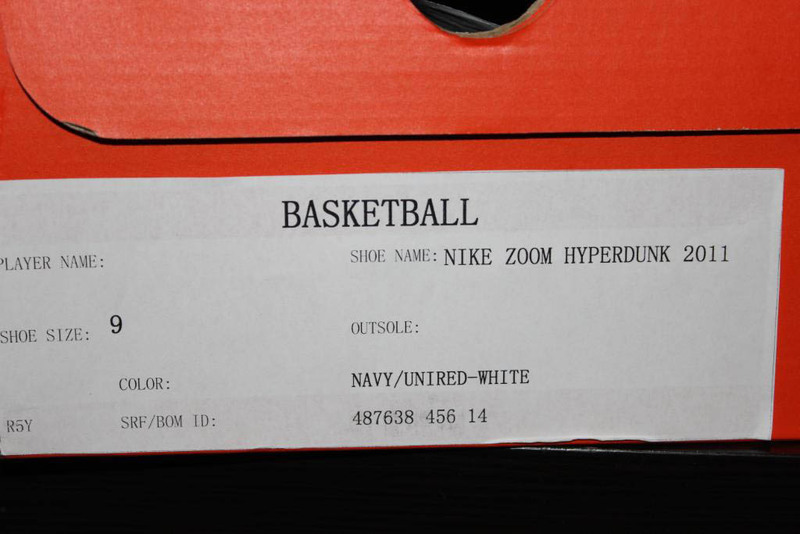 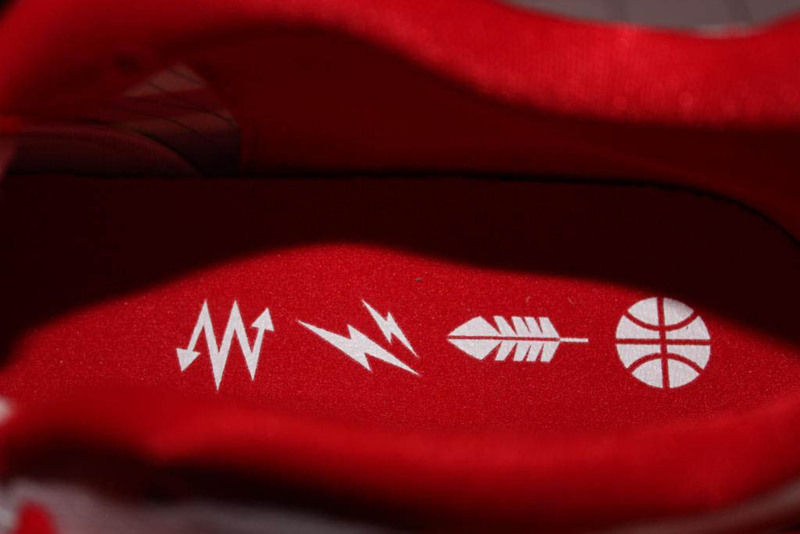 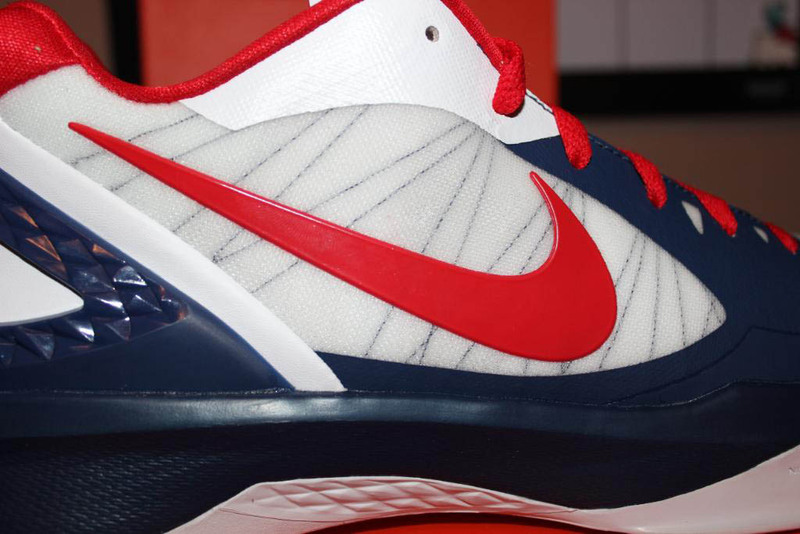 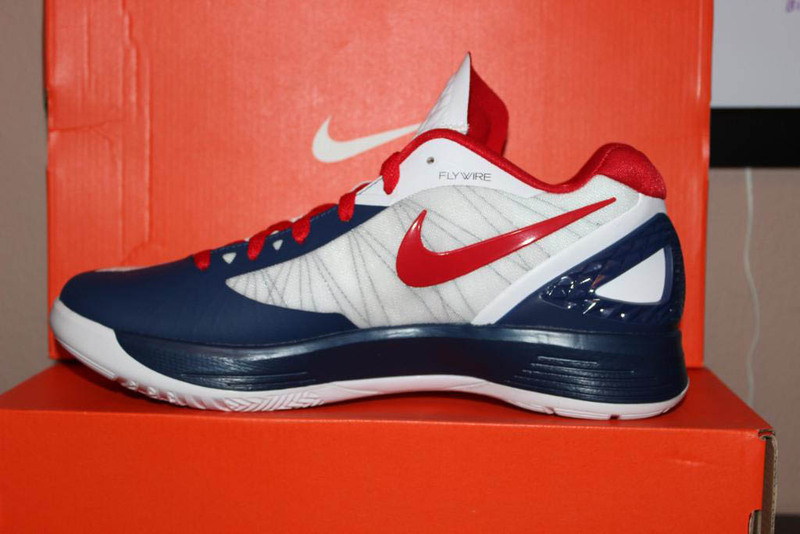 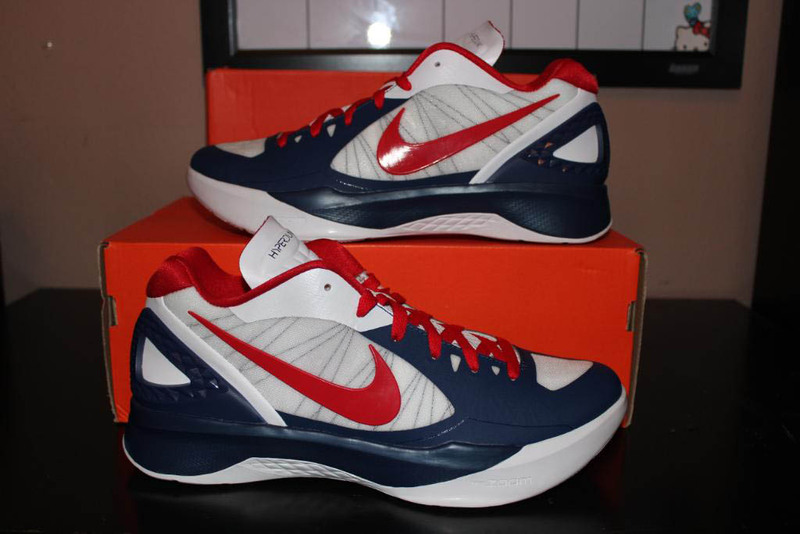 Nike Basketball will be rolling out new footwear this summer in time for the 2012 Olympic Games, but here's a USA-themed colorway of the Zoom Hyperdunk 2011 Low that may see on the courts in London as well. 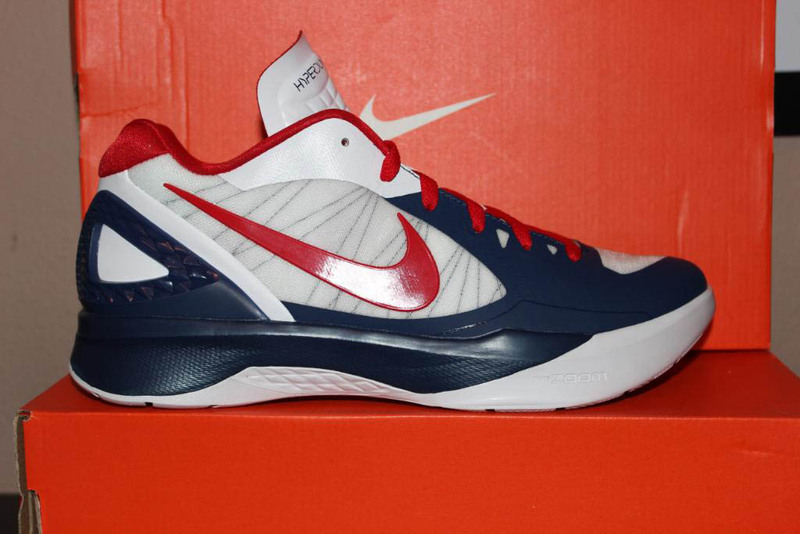 Nike Basketball will be rolling out new footwear this summer in time for the 2012 Olympic Games, but here's a USA-themed colorway of the Zoom Hyperdunk 2011 Low that may see on the courts in London as well. 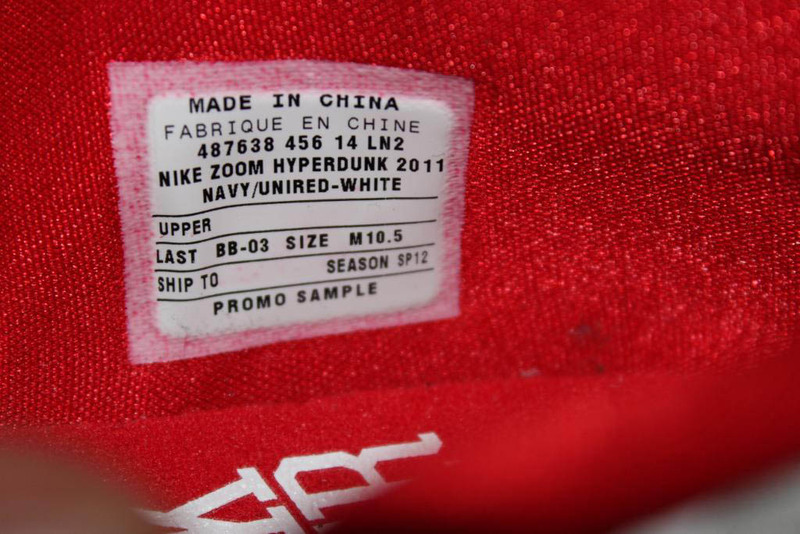 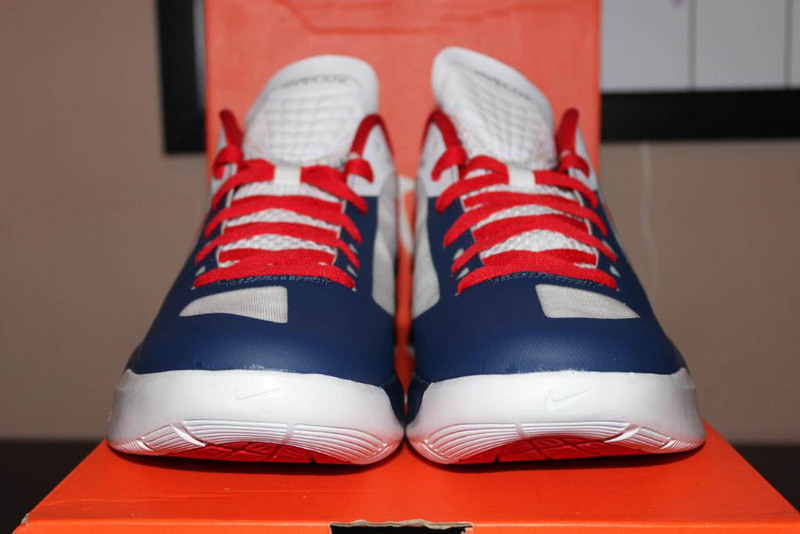 The shoe sports a white and navy synthetic upper, accented by hits of red on the laces, inner lining and Swoosh logos. 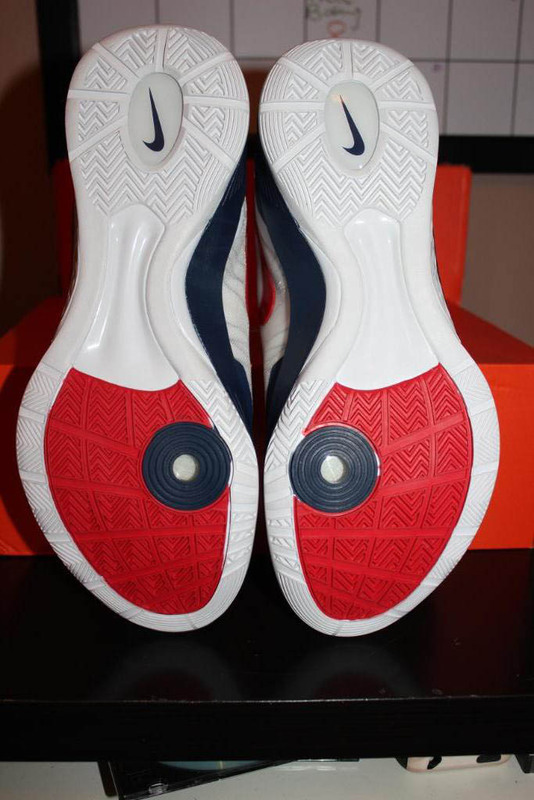 Finishing off the look below is a white rubber outsole. 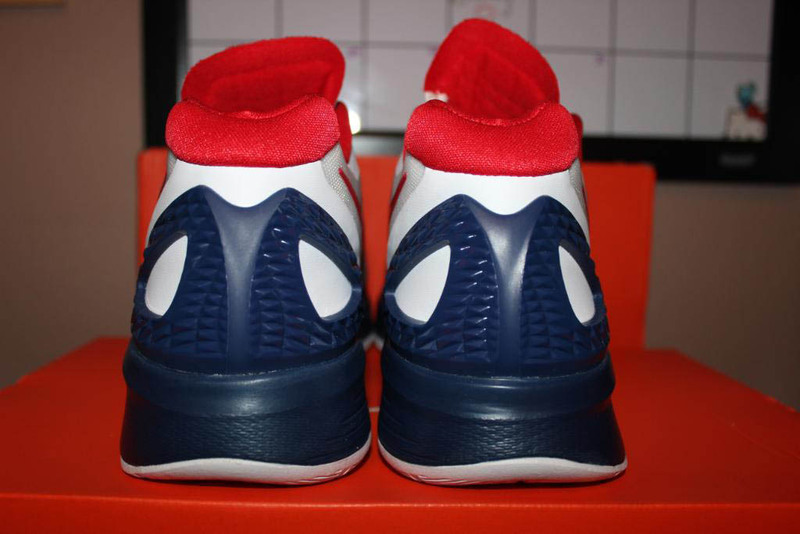 This sample pair is currently available to purchase from two1thr33kickz on eBay.